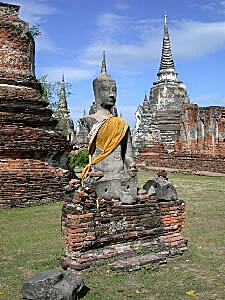 Again, at the risk of repeating myself, this was our second trip to Ayutthaya and we have many photos on the web pages from our first trip. To view those pages click here, a second window will open allowing you to view them and easily return here. 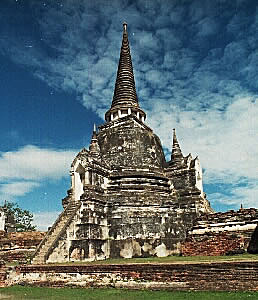 Ayutthaya dates to 1347 - 1351 and, at one time, was one of the most powerful kingdoms in Southeast Asia. 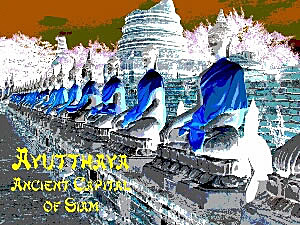 As the capital city of Siam the city flourished form more than 400 years. 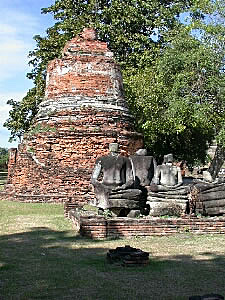 Ayutthaya fell in 1767 when the city was attacked and destroyed by the Hsinbyushin of the Alaungpaya dynasty. Much of the architecture, art and literature from the time was destroyed leaving only the remnants which you can visit today. 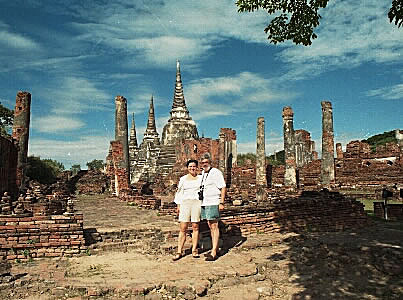 During our first trip we took a day excursion from Bangkok by bus to the ancient capital at Ayutthaya and then Bang Pa In, the Summer Palace, which is located nearby. We enjoyed the day so much we told Carol, John and Alicia about it long before we left home. I knew my sister, Carol, who is an architecture freak, would enjoy seeing the many buildings with their varied architecture at the Summer Palace, and we didn't mind going again. In fact, we looked forward to doing the same trip again. 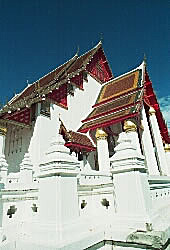 Not only did you get to enjoy the sights at Ayutthaya and Bang Pa In, you also got to enjoy a 4-hour luncheon cruise along the Chao Praya River from the Summer Palace back to the Oriental Hotel in Bangkok. 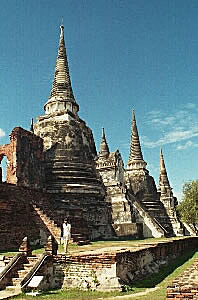 We told several of our traveling companions on the trip and before we knew it thirteen of us were journeying to Ayutthaya for the day.